After you submit your order we will send an email with instructions to upload your artwork. You will receive an email confirmation that we have received your artwork file. Upon review we will send you a print proof for your approval. If your artwork is not print ready we will give you instruction on how to fix it, and ask you to resubmit your file. 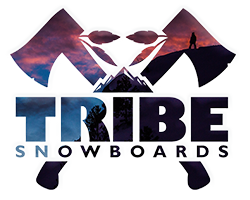 All top sheets will have a Tribe Custom Snowboards logo positioned between the bindings. Have you been dreaming of flying down the hill on a custom-made snowboard? Our online snowboard shop will help you customize your own snowboard so you can turn heads on every mountain. Simply choose a board style, a camber, base color and size. Once you’ve selected those details, you can upload a file to design your own snowboard. With our simple artwork templates that you can download, it’s easy to see how your custom snowboard graphics will look on the finished product. Our team of snowboard manufacturers and riders can’t wait to help you create your ideal snowboard. 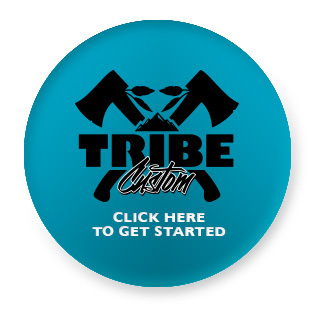 Order your custom snowboard online now from TRIBE Snowboards!